MQLTA Supertrend Multi Timeframe indicator combines the Supertrend detected on multiple timeframe to confirm the trend of a pair. 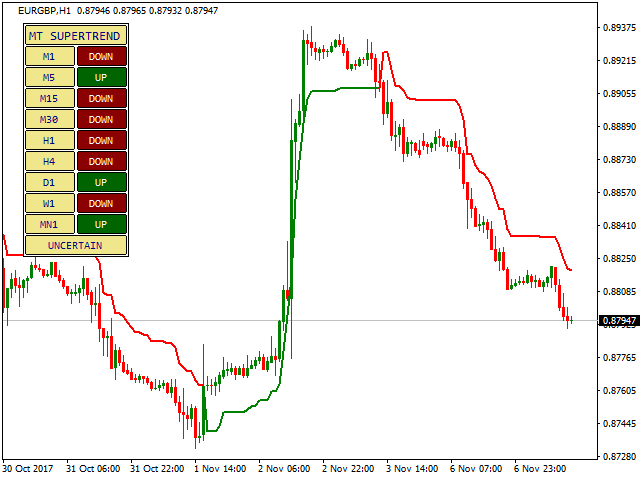 This indicator requires you to already have the FREE indicator MQLTA Supertrend Line to work https://www.mql5.com/en/market/product/25951. The indicator checks the status of the Supertrend in all your selected timeframes showing you the result in an easy-to-read table. Ideally you want to Buy when the Supertrend confirms an Uptrend and Sell when the Supertrend confirms a Downtrend. 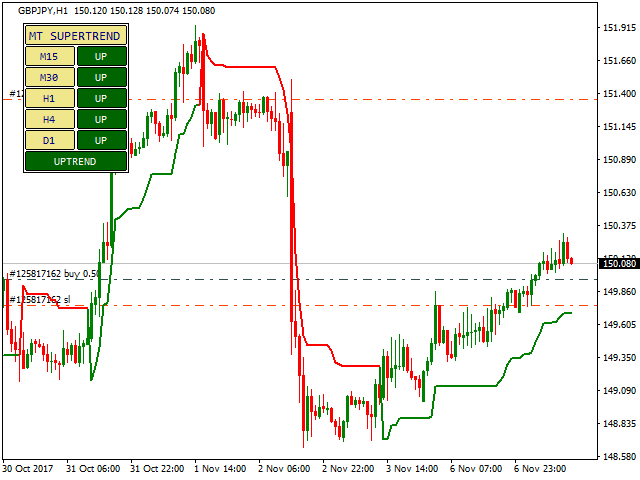 I am using your MTF Super Trend indicator with your color Trend Line which are very useful to filter entries. Good combination, my best congratulations for these helpful indicators. Indicatore molto utile per determinare il trend su diversi time frame. Con la comodità di vedere il tutto su un unico grafico.